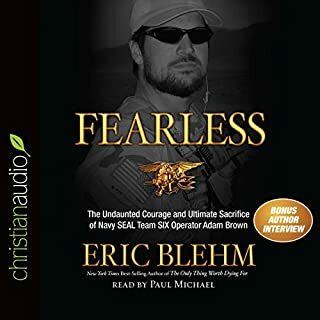 Fantastic Audio Book, best in this subject. From start to finish... this is a book for anyone who has a desire to learn about leadership,objectives,strategy and tactics. 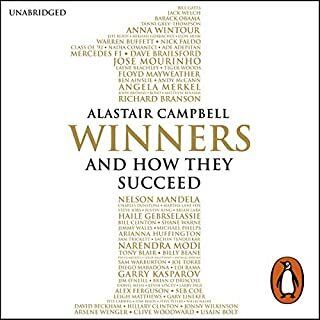 I will read this again and the lessons of winning and OST are firmly rooted in my mind. This is an amazing story of an amazing man and his family. If your looking for something to inspire you look no further. This story of a man with a "can do" attitude will stay with me for life. The strength of his family and wife just adds to the story.. If that wasn't enough you get to see a glimpse of the brotherhood, which is the Naval Seals. Full credit to everyone involved and respect to all. Please don't forget when reading this, that this actually happened.... Thank you for telling this great story.